ANALYSIS In the last two decades, the number of deliberate attacks on aid workers have risen sharply. This has led to a growing concern among humanitarians, policymakers, and researchers that it is currently more dangerous to be an aid worker than it ever was before. Jamie LeSueur, a humanitarian response professional from Canada, argues that targeted attacks against humanitarians is now part of a deliberate strategy. Aid work has always been a dangerous game. Operating in rapidly changing conflict environments, devastated disaster zones, and multifaceted complex emergencies have posed daily risks to aid staff in the field for decades. However, time has changed the context and the operational realties faced by humanitarians today are different than those of the past. Over the last two decades, the trendlines for deliberate attacks on aid workers have risen sharply and consistently. Reaching an all time high in 2013, 474 humanitarian staff were targeted specifically in 264 separate attacks. 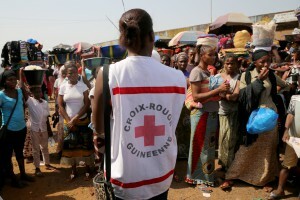 This has led to a growing concern among humanitarians, policymakers, and researchers that it is currently more dangerous to be an aid worker than it ever was before (an important caveat is worth noting here as the rise in attacks has occurred in conjunction with a relative rise in the number of aid workers deployed to the field. As a result, the attack rate on aid workers has remained relatively stable despite the increase in absolute frequency). The cause of this increase in violence has been the topic of much debate in scholarly circles and has generated a number of interesting hypotheses. The most widely purported inference blames the securitization of aid and the blurring of lines between aid workers and foreign military forces on the increase in attacks. However, recent research has indicated that a NATO presence has little effect on the number of attacks on aid workers. So, if the securitization argument holds little theoretical value, what is responsible for the surge in violence? Our point of departure involves examining the shift in the culture of risk management over the past two decades. As noted by Dr. Abby Stoddard of Humanitarian Outcomes, “before 1990, you wouldn’t see many aid workers…in active combat situations. They tended to wait at the border for refugees.” However, over the past twenty years, the number of aid agencies and their deployed personnel have both increased in countries where active conflict is ongoing. This is, in part, because humanitarian providers have reformed their risk management strategies to match higher acceptable risk thresholds. In short, aid agencies are more willing now to operate in violent contexts than they were before and thus expose their staff to higher frequencies of risk. But this alone does not account for the increase in aid worker violence. I argue that armed groups capitalize on the heightened number of potential targets in the field to implement a more brutal, utilitarian strategy. Humanitarians have an entered an age where their specific, deliberate, and public killing has become a rational battle tactic. In utilitarian terms, executing an aid worker on YouTube can assist an armed group in the achievement of its political objectives. Such an act can coerce an agency to resort to ‘remote-management’, which entails withdrawing their international staff and leaving operations in the hands of nationals. In the short term, this increases an agency’s vulnerability to coercion, theft, and looting at the hands of the armed actor as programmatic oversight is diminished and accountability reduced. Victimization can also force a full organizational withdrawal, allowing the armed group to operate with impunity. As well, publicizing the execution of an international aid worker can confer some level of legitimacy on a group, thus garnering validity and funding from like-minded individuals and patrons around the world. In this way, targeting humanitarians can be utilitarian in nature and a rational war-fighting strategy. The utility of this tactic has been realized repeatedly throughout recent history. One of the first major instances occurred in 2003 with the bombing of the Canal Hotel in Baghdad. This attack claimed the lives of twenty-two humanitarians including the UN Special Representative in Iraq Sérgio Vieira de Mello. A follow-up bombing a few weeks later would change the way the UN approached assistance delivery at an institutional level and forced a near-complete withdrawal of the organization from Iraq. More recently, the 2014 social-media publicized beheadings of aid workers Alan Henning, David Haines, and Abdul-Rahman Kassig, played a major role in the official dialogue surrounding agency risk thresholds and humanitarian assistance delivery in Iraq and Syria. The impacts of these attacks are tangible. If armed groups are allowed to coerce neutral and impartial assistance agencies through fear and direct threat, then they have compromised our fundamental principles. Security management of field personnel is paramount, yet we, as members of the international humanitarian architecture, must examine our response to incidents of publicized targeting to combat manipulation. There is no easy answer on how to balance this risk, however the first step in addressing it is to recognize just how real it may be. Jamie LeSueur is a Canadian humanitarian response professional currently based in Johannesburg, South Africa. He has worked with the United Nations and Red Cross Red Crescent Movement in emergency preparedness and response and is a current member of the UNOCHA Stand-By Partnership Programme with CANADEM. A recent graduate of the Master’s programme in Peace and Conflict studies from Uppsala University, Jamie has a strong background in peace research and a deep commitment to the humanitarian imperative. Do you want to comment or discuss this post? Please contact the responsible editor. Responsible editor: Sebastian van Baalen, editor Aid & Development, Climate & Security, Africa.